Smartphone manufacturers are always looking to be among the first to bring users the next big thing. Sometimes those moves pay off, and things like the rise of phablet-sized devices, the return of fingerprint scanners, and support for fast charging have quickly entered the mainstream. Other times we get a swing-and-a-miss, and tech like autostereoscopic 3D displays fails to catch on in any appreciable fashion. Right now phone makers are once again trying something new, as smartphones built to take advantage of modular hardware add-ons appear on the market. And just a few days back, we took a look at the latest such system to debut, with Lenovo's Moto Z Droid, Moto Z Force Droid, and the Moto Mods getting ready to arrive. We were soundly impressed by Lenovo's effort here, especially because the new Moto Z Droid phones aren't just interesting because of their well-executed modular hardware; they're also pretty attractive flagship handsets on their own. The Moto Z Droid itself impresses with an insanely thin build, while the Moto Z Force Droid comes in a bit thicker (if you can call measuring just under 7mm “thick”) and delivers upgrades to the phone's battery, camera, and screen. We've already looked at how the Moto Z Droid stacks up against the Moto Z Force Droid, but how does big brother there compare to other “upgraded” flagships? We've been taking a look at both the Moto Z Force Droid and the iPhone 6s Plus in the hopes of forming some conclusions. In a market where it's so easy to open criticism of a new smartphone with “that looks like it's ripping off the iPhone,” it's almost refreshing to see the extent to which the Moto Z Force Droid manages to stand on its own from a design perspective. Some choices, like its flat back panel bordered by a sharp drop-off around the edge, are clearly a consequence of Lenovo's move to implement Moto Mods. Others, like the way the edge strip includes a raised peak to help with grip quality, seem to take inspiration from elsewhere. 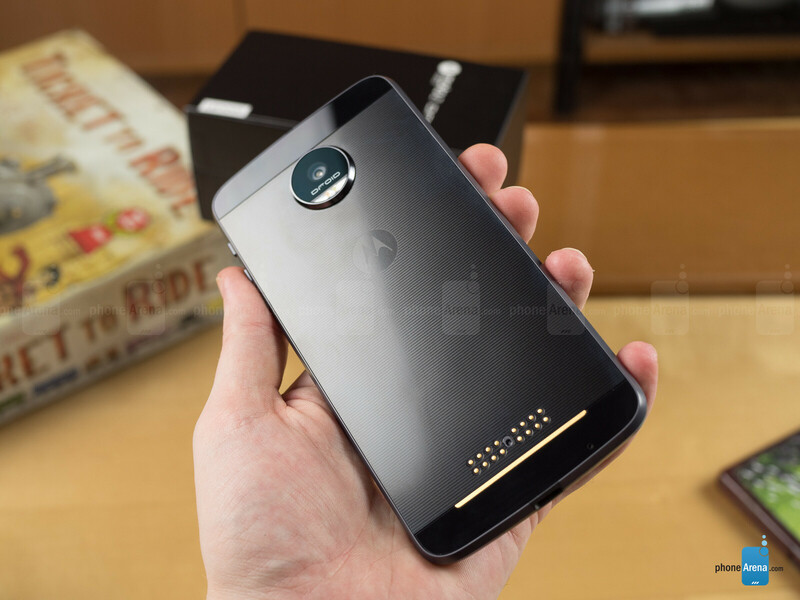 But wherever all those pieces came from, they add up to giving the Moto Z Force Droid a distinguished, unmistakeable look that you're not likely to have come across before. The iPhone 6s Plus, meanwhile, is the object of emulation more often than not, but nobody quite does it like the original. Apple's build quality is second to none, and even with a big 5.5-inch screen, the handset's still remarkably solid-feeling. 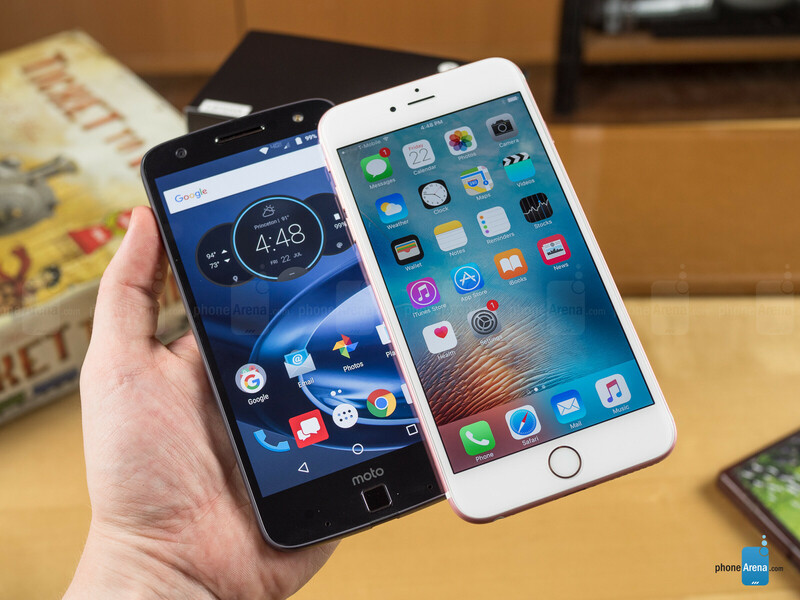 Of course, that robust feeling comes at a price, and the iPhone 6s Plus is both taller, wider, and thicker than the Moto Z Force Droid, and also significantly heavier – to the tune of almost 20 percent. Both the iPhone and Moto handset are equipped with phablet-class 5.5-inch screens: Apple's using a 1080 x 1920 LCD panel, and Lenovo has a higher-res 1440 x 2560 AMOLED component. Those extra pixels don't result in a night-and-day difference in picture clarity between the two, but they do give the Moto Z Force Droid a slight edge in things like rendering really natural-looking text. In terms of image reproduction, Apple's screen boasts slightly better color and grayscale accuracy, and can produce both brighter whites and darker blacks – that latter point is especially embarrassing for an OLED-based phone like the Moto Z Force Droid. The 3D Touch force-sensitive input on the iPhone 6s Plus is a nice bonus feature, though it falls short of being a must-have. 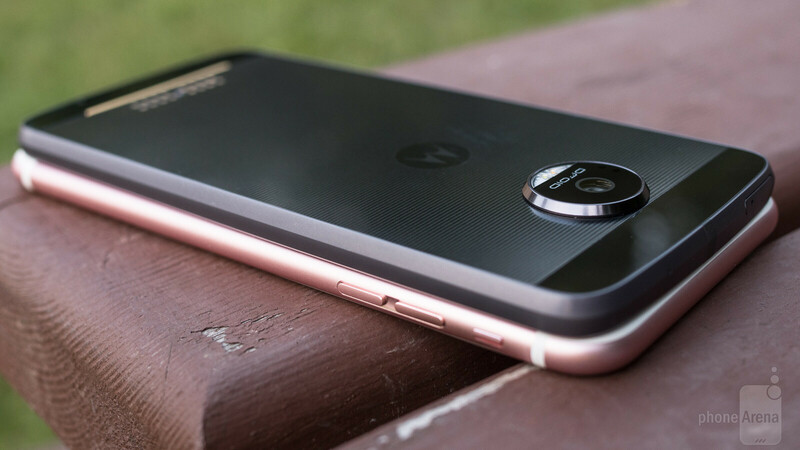 And the Moto phone picks up a special enhancement of its own, boasting the same ShatterShield impact-resistant construction as last year's Droid Turbo 2. While we certainly don't plan to go dropping our phones everyday, that's definitely a nice feature to have there when we need it. 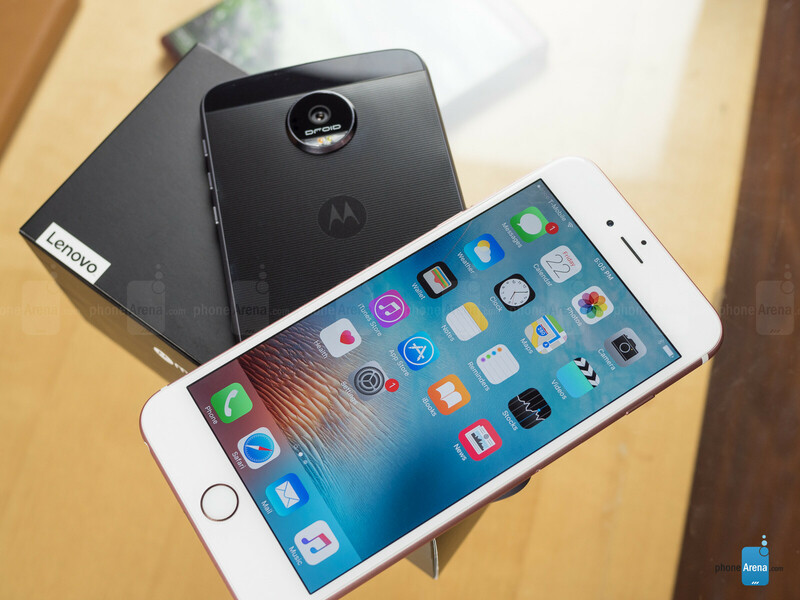 Moto Z Force Droid destroys the iPhone 6s Plus, hands down! That's why phonearena rocks And don't you think the htc one m7 is stylish?? It was really really stylish, the best ever may be...that is the first thing that made me think beyond Sammy in the android world. How can an IPS display have a better minimum brightness than an AMOLED display? Especially since each pixel is powered on and off for AMOLED displays. Whereas the entire display is turned on for an IPS display. So phonearenas tests or Stevens tests are pure crap. Also Steven if IPS displays are so much better, then why is Apple going with AMOLED next year? Your test apps that you are using must be geared towards an iPhone. Or you are biased. EVen Mr Mobile says its screen (Z) isn't dim enough. So, ya. Bias. They also did a test where they claimed the iPhone 6S Plus screen was brighter, when everyone else in the world stated as fact that the S7 display goes above 800 nits when its not in auto-mode. I agree with you. "Apple's screen boasts ... darker blacks." How can this be? AMOLED turns off the pixel to produce black. How can you get darker than off...? Moto X Force got 78hrs on GSMArena's rating.http://m.gsmarena.com/motorola_moto_x_force-7555.php Not too bad, but not too good either. Whereas, Samsung's Galaxy A9 got a whopping 103hrs! That's crazy good battery life! A9 pro has 25% bigger batter, it would have got freaking 120 hrs at least! Really cursing Sammy at this point of time for not having a global launch for it, may be the best phone of the A-Series. Was waiting since launch to gift it to my Dad, who likes Phablets, right now, he is using Galaxy Mega 6.3, it works like charm, even after 3 yrs since it is bought. He needs a big phone with fingerprint sensor, this is the best option, and in fact closest in terms of screen size and his requirements among the segment which is really scarce now. I agree about the A9, even I want that phone too. Style is subjective, so the writer isn't wrong or right. On point with everything else. Stylish is a word that people who don't know anything about design use. What do you infer here, which one is more stylish? But, a 2016 flagship beating a 2015 one isn't anything to be proud of. Yes. Phone arena, why did you compare phones that are 12 months apart? Why not compare it to the Galaxy S 7 or the iPhone 7? "Apple's build quality is second to none", huh Stephen? You mean the build quality Apple copied from HTC's One M7... right! "In terms of image reproduction, Apple's screen boasts slightly better color and grayscale accuracy, and can produce both brighter whites and darker blacks" wut? LCD have darker blacks than AMOLED? what kind of wizardy is this? "Apple is using a 1080 x 1920 LCD panel, and Lenovo has a higher-res 1440 x 2560 AMOLED component. Those extra pixels don't result in a night-and-day difference in picture clarity between the two" WTF Stephen? It's a night-and-day difference in clarity, when it comes sunlight legibility! and why did you exclude off-screen benchmark? Off-screen benchmark is relevant! 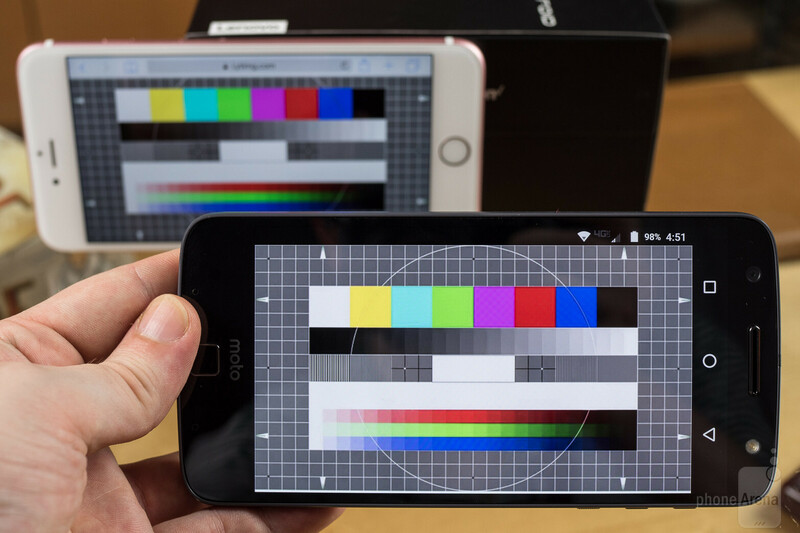 Because it's the only way to measure the true performance of a SoC, without the difference in screen resolution affecting the benchmark score between the 1440p Z Force Droid versus the 1080p iPhone 6s Plus. On-screen benchmark is also relevant, because it measures the user experience of a SoC, rather than the SoC's raw power alone. 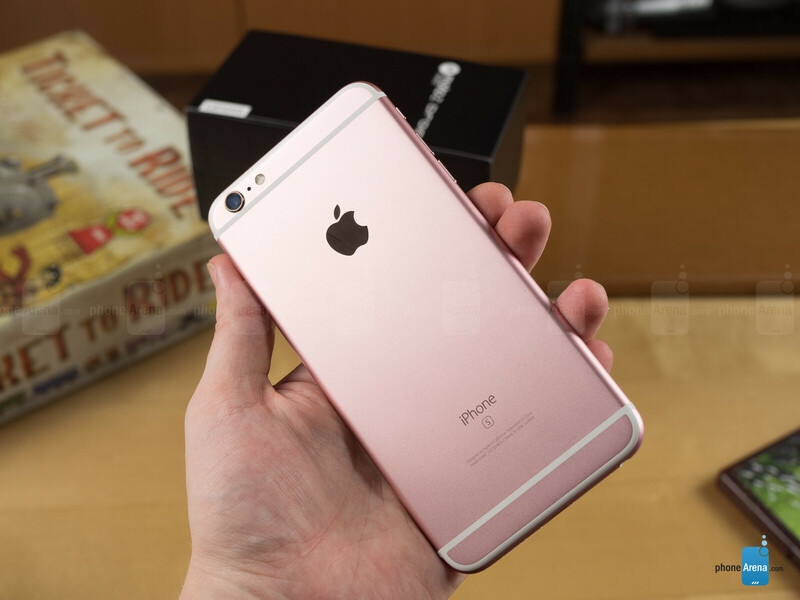 6s Plus hands down, my reasons for saying so are obvious lol, On a real note, I can see the Z force replacing my 6s Plus, if I were on VZW that is. TBH other than the mods there is no real reason for someone to trade their 6s Plus for a Moto Z and I would say the same to anyone who has the 6s Plus is planning to upgrade to the 7 Plus. BS and bias review. Always worshiping Apple IPhones. Phonearena is heavily funded by Apple. So many people say this yet still come here, if you think that then why not go away? Go to a site which shares your opinions?